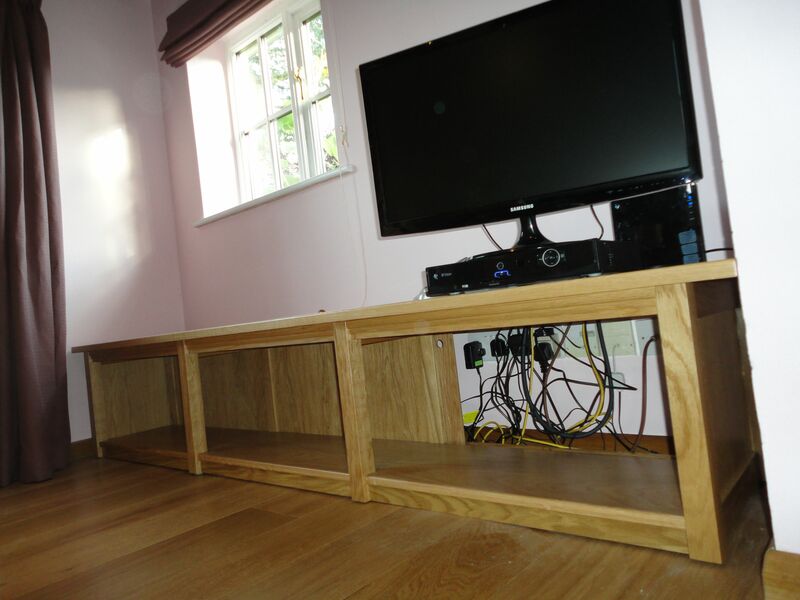 This was an interesting project for new clients in East Hoathley, East Sussex, who wanted to combine a TV unit and window seat beside their inglenook fireplace. 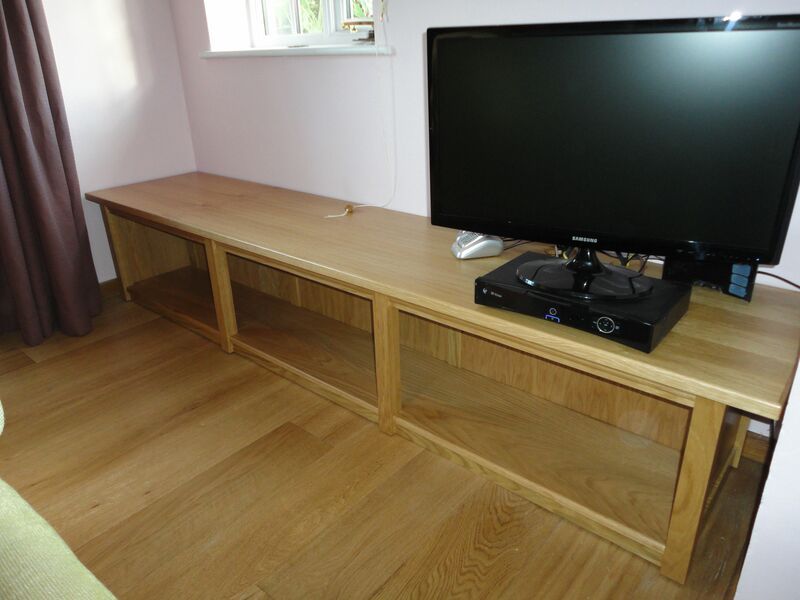 Combining oak and oak veneered board the frame was made and jointed with provision in the back to fully enclose the multitude of wires associated with the TV hardware. The sliding door also made it possible to access plugs and sockets with little trouble. 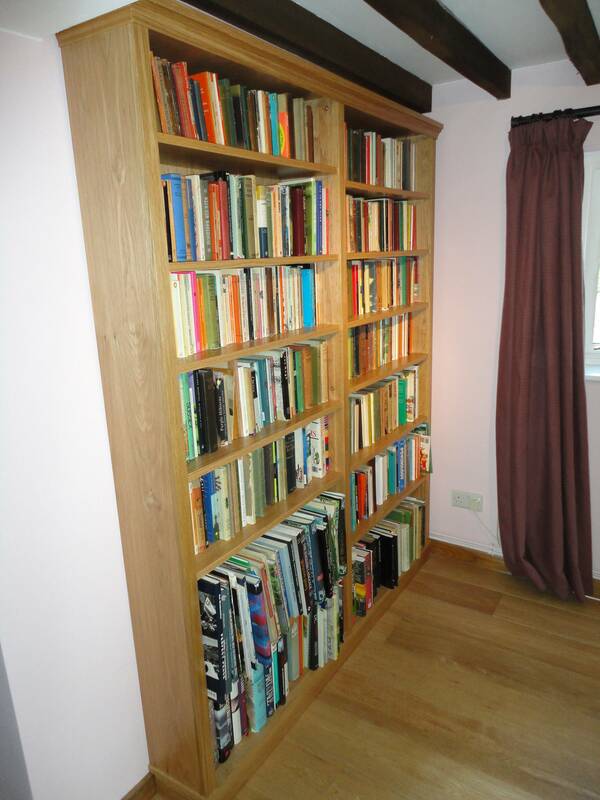 This piece was to match a bookcase made by us earlier in the year. Contact Nick or just leave a response below.